While Lawson may be disappointing me lately with their Japanese bagels, MiniStop’s desserts have been ridiculously delicious. The closest one is a bit far from us, but it’s really been worth it to bike over. They especially seem to have a lock on chocolate-type desserts. I probably would have passed by this 焼ショコラ, or Baked Chocolate Mousse without a second look, distracted by the parfaits and puddings, but a friend had mentioned that it was so good he had “entered a higher plane of existence”. How could I pass it up? Turns out, it was indeed glorious. Creamy, luxuriously rich, with perfect chocolate flavor. This may be one of the best chocolate mousses I’ve ever had, and I’ve been to France multiple times. Oh, and it was only ¥210, or a little more than two bucks. In conclusion, you should definitely snag one if you live anywhere near a Ministop. You won’t regret it, and if you do? Well, I’ll be more than happy to finish it for you! Seriously though, doesn’t it look delicious? This entry was posted in Food!, Photos! 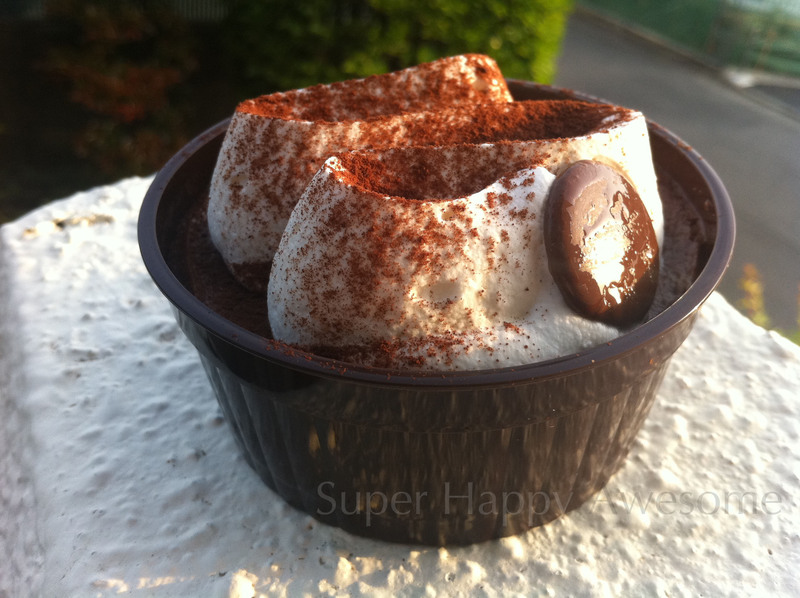 and tagged cake, cakey, chocolate, combini, delicious, ministop, mousse. Bookmark the permalink.